On Sale Now! 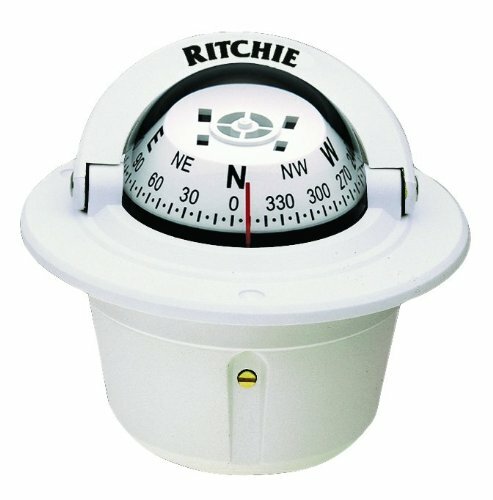 Save 4% on the Ritchie Explorer Flush Mount Compass, White (F-50W) by Ritchie at Kerinci. MPN: F50W. Hurry! Limited time offer. Offer valid only while supplies last. The Explorer flush mount compass from Richie Navigation features a 4 2 3/4'' easy to read direct reading dial with internal green night illumination. If you have any questions about this product by Ritchie, contact us by completing and submitting the form below. If you are looking for a specif part number, please include it with your message.